You inspire me with the way you think and see yourself and the part you play in the world…Never stop fighting my angel….because there is more. You are truly courageous, strong and fearless…. When we are left alone in our prison of pain as we are, we get to understand a whole new reality that not many will ever come to know, unless they face circumstances such as we face daily. As you know for the last 30 years, I have been trying to climb out of medical madness which started from mere misdiagnosis of a broken rib, and ending in a neurotransmitter being put on my spine…..the same medical device you wear, put in my body to control pain, which it did and for seven years, I got to live, work, grow, build…outside my prison of pain…..but the device was forgotten….and seven years later, the electrocution that brought me down hard, showed me more than I ever want to see again…. I have had to face my death twice…..and for the few minutes that it held me in it’s grasp…..I came face to face, not with my life flashing before my eyes…..but…..my spirit flashing big and bold through me, as God’s hand pulled me from deaths door….and laying on the floor, with such a force of electricity running through my body, (which should have kept me down,) only made me bounce back (literally) and I bounded off the floor, bouncing back into life a different person, with different powers…..and I took a course in understanding the mind…and what I was thinking….my connection to the divine…. Despite suffering more injuries and memory loss….The mind that so many forget to use, became a new master in my life….and the more I looked into the power of the mind….the vibrations it puts out to the universe, the more I convinced myself that I could change the war that my mind had created….from this medical madness I had to live in…. The sad reality of our situations…although so much different, is so much the same…..closing the door, and shutting down…..is what we try to do….but God and our mind chooses something different each time….and its the loudest sound we’ll come to recognize….pulling us back from the reality of our silent lives….to the reality of our spirit…. God and the universe and our mind are one. 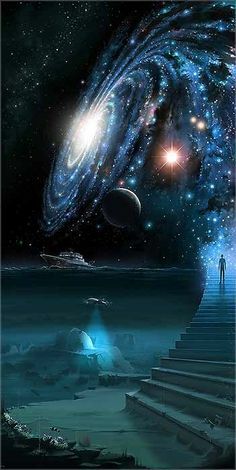 When we come to understand our place on this beautiful planet, we get to evolve into something we never considered, or thought of…..a spiritual being….I heard it say that “we are physical beings, having a spiritual experience” and not human beings having a spiritual experience…. First our spirit is born…..then our physical body’s are formed…our spirit is the strongest connection we will have to the divine….and we become divine ourselves, because we accept our strong faith as being the root of that spiritual being…..and we become fearless..
We are not VICTIMS…but VICTIMS OF CIRCUMSTANCES….and we can change many of those circumstances by changing our mindset….and understanding ourselves and the part we are to play in our co-creation of the way we want our world to become…. We have more mind power than we think….with proof that it can cure cancer, and alleviate so much suffering….sometimes we cause ourselves the most suffering without knowing why….and it goes back to how we were programmed by what we saw, what we heart, and what we were taught…. Understanding ourselves, brings us greater faith, self love and peace….we won’t fear death, as much as we fear what we see others do with their lives……I would gladly trade shoes for one day with the zombies I see walking though life, unaware of anything around them…..because in that one day, I will be free of pain, and free of my prison….I will do more in one day than I’ve seen others do in a year…or a lifetime….. Fully explore your mind, because you’ll know no fear….and you’ll learn what God has been trying to tell us all our lives….about the greatness within us all…. We will be fine angel…..God knows we deserve so much more than that which we write about….and one day we will have it all….